Served with a Collective Enfranchisement Notice Under S.13 of the Leasehold Reform Housing & Urban Development Act 1993. I am freeholder of the property, and reside there. The notice states that the Leaseholders are claiming the flat I live in and the garden areas that have been my sole use since purchase. It appears there are lots of advice for Leaseholders, but scant direct advice for Landlords in this instance. i.e. Leaseholders must pay ‘reasonable legal charges for this process’, but nothing stated when that money is liable. Does this mean that I, as Freeholder, must bear these charges first and foremost and claim those back at a later stage? Seems pretty one-sided to me, although principally I have no objection to the sale, its going to be costly, and why would the notice claim leaseback of my flat, which co-incidentally has no lease, it is freehold. There are exclusions regarding properties with owner occupiers. There are a number of rules regarding this. You need to refer the matter to a solicitor. The solicitor can ask the applicants to provide a deposit to cover your costs. 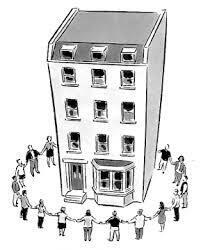 Normally the solicitor acting for the freeholder will obtain an undertaking to pay their costs from the leaseholder's solicitors. There should be no costs exposure for yourself. You should also get the leaseholders to pay your surveyor's costs so as to ensure that the proposed premium they have offered to pay is the best figure you can obtain. We act for both freeholders and leaseholders on lease extensions and collective enfranchisements. Hi Catherine - would need more details to comment - how many flats? have you lived there since the conversion? or is it not a conversion? I wouldn't have thought your flat would form part of the freehold, that usually only relates to the land and communal areas. Is the title to your flat on the same document as the freehold?